Our First Take: This cat is the perfect platform for anyone looking for a pocket-sized cruiser with a little something extra. Never let it be said that the French don’t appreciate a good party. Sometimes it feels like the entire populace subsists solely on champagne and oysters, rosé and Camembert. 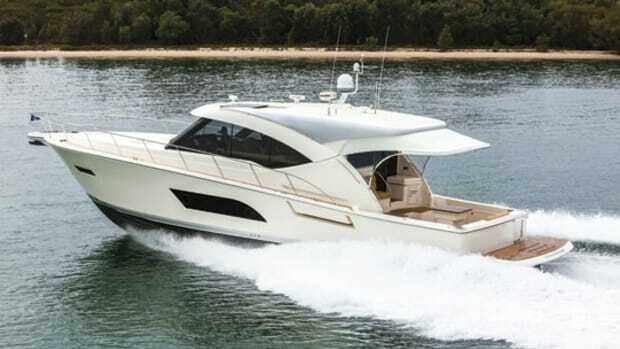 So it shouldn’t come as a surprise that the Fountaine Pajot MY 37 has a strong focus on onboard comfort. The French builder took a hard look at all the deck space this 36-foot by 16-foot-6-inch boat has and decided to use nearly every inch of it. Take for example the wide foredeck with two large sun lounges that helps create a private social space when moored stern-to. 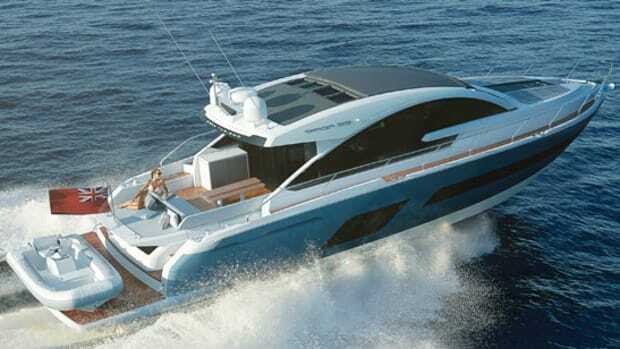 Or have a look at the flying bridge, with its U-shaped seating aft and sunpad forward. 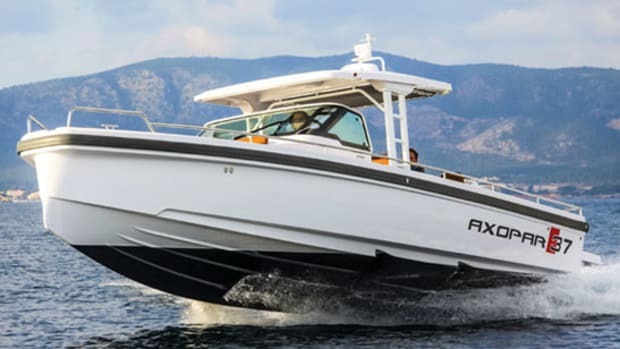 There’s a choice between a bimini or an optional hardtop up there. 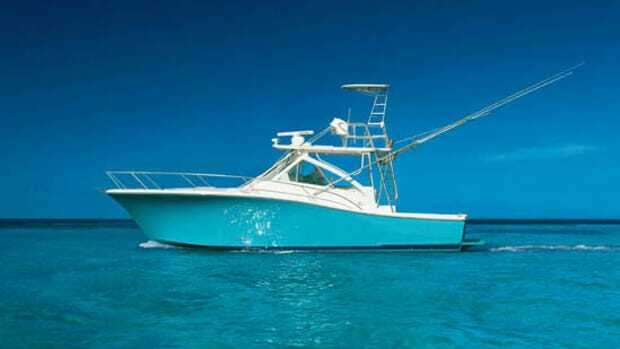 I’d guess if you’re going to keep this boat somewhere where it’s hot year-round, like Florida, you’d opt for the hardtop. 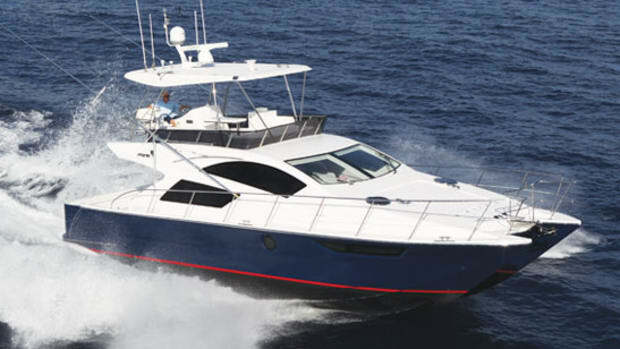 The spacious cockpit has bench seating aft and is easily serviced by the aft galley in the saloon. 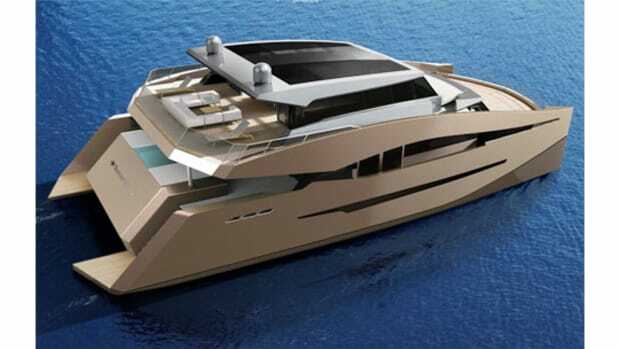 An optional lower helm is available in the saloon though really, the one up on the flying bridge should suffice for most. 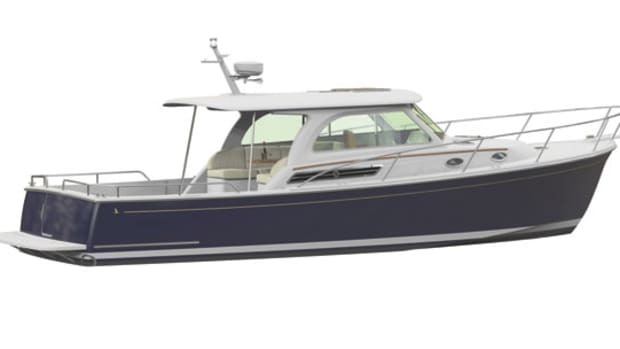 The boat comes with a three- or four-stateroom layout. If the three-stateroom layout is your poison, you’ll get a really nice-sized master in the port-side hull and two identical, surprisingly spacious staterooms to starboard. 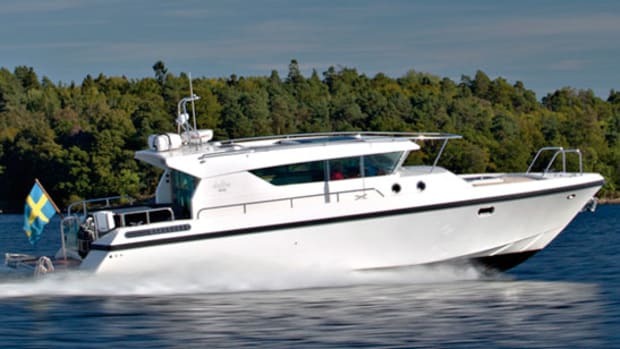 Underway the boat’s two 150-horsepower Volvo Pentas with straight shafts push her to a top hop of 22.5 knots, but what she lacks in wahoo-like speed she more than makes up for with a stable ride. And her vinylester-resin-infused hull with balsa coring handles chop with a reassuring and quiet dignity. 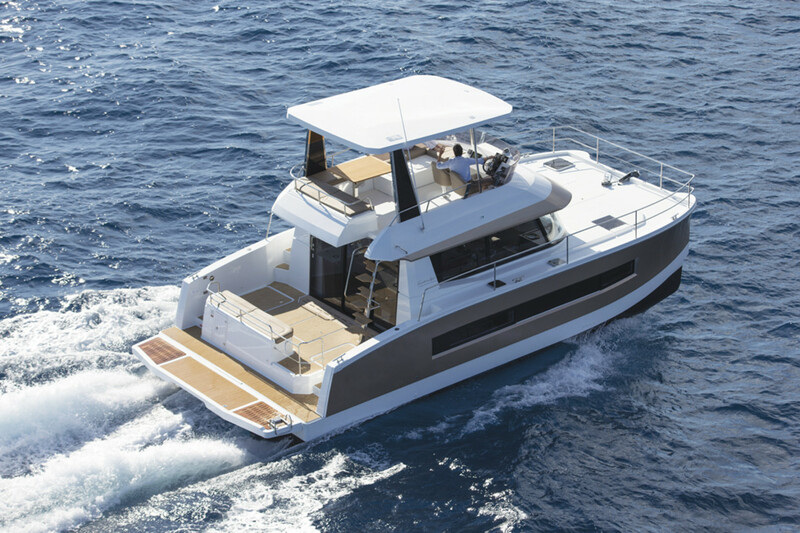 One last thing to like about the Fountaine Pajot 37. She draws only 2 feet, 6 inches. And that makes her optimal for scooting over to the Bahamas, dropping the hook, and maybe popping a bottle of bubbly. Just make sure to remember the oysters. 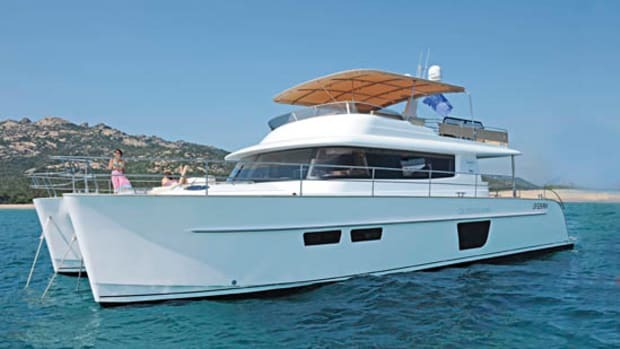 Click to see listings of Fountaine Pajot Yachts currently for sale on BoatQuest.com.